I have made a correction to a serious error in my recent post How Plato Inspired Moses: Creation of the Hebrew Bible. 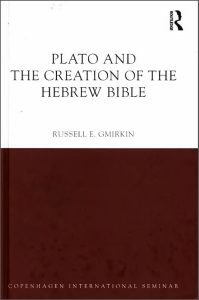 In that post I took credit for identifying many parallels between the Hebrew Bible and Plato’s Laws prior to reading Russell Gmirkin’s book. 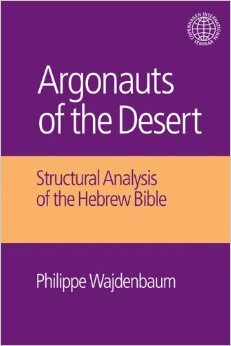 I should have acknowledged — and I have now made the correction — that my interest in Plato’s Laws was sparked by Philippe Wajdenbaum’s Argonauts of the Desert: Structural Analsysis of the Hebrew Bible. There are overlaps between Gmirkin’s and Wajdenbaum’s theses, but there are also a number of incompatibilities. I think Wajdenbaum’s view that a single author was responsible for the Primary History of Israel (Genesis to 2 Kings) faces a number of daunting hurdles. But both authors do raise serious questions and give us much to think about. Rome’s and Israel’s Ancestor Traditions: How Do We Explain the Similarities? Weinfeld, Moshe. 1993. The Promise of the Land: The Inheritance of the Land of Canaan by the Israelites. Berkeley: University of California Press. The opening pages describe a typological comparison of the roles of the ancestors of Rome and Israel. I have tried to capture the main outline. which is destined to rule the world. the Land of promise and from which his descendants will rule other peoples. God promised Abraham that 400 or 430 years would pass before his descendants inherited the land. the gap of centuries between the two stories was joined by a long line of descendants, a long Trojan dynasty on the one hand, ten generations between Ephraim and Joshua on the other (1 Chron 7:25-27). Inconsistencies are extant in both accounts of the number of generations. The event was interpreted by the prophet Calaens as a prediction of famine before the promise is fulfilled. The event is followed by God declaring that Abraham’s descendants will be enslaved in Egypt before the promise is fulfilled. omens presage difficulties before the fulfillment of the promise. 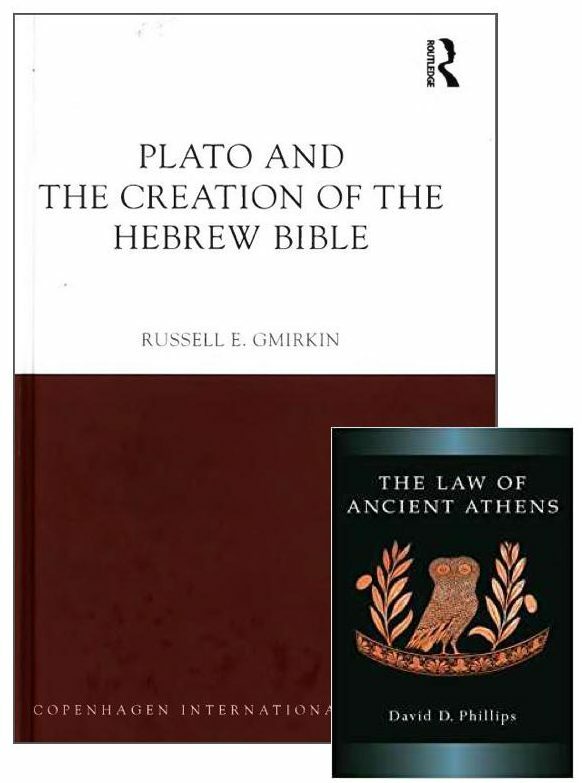 Continuing from previous posts, the following draws upon a secondary source used by Russell Gmirkin in Plato and the Creation of the Hebrew Bible in his discussion of military law as set out in Deuteronomy. 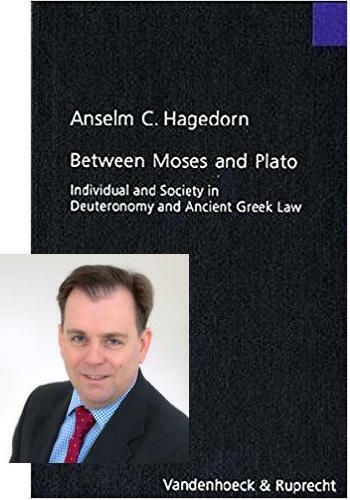 The extracts that follow are from Anselm C. Hagedorn’s Between Moses and Plato: Individual and Society in Deuteronomy and Ancient Greek Law. I have occasionally changed the formatting of Hagedorn’s text and a few times replaced Hebrew or Greek text with English translations. Some footnotes I have converted into hyperlinks to the source text. 1 When you go to war against your enemies and see horses and chariots and an army greater than yours, do not be afraid of them, because the Lord your God, who brought you up out of Egypt, will be with you. The people are responsible for military action in the law and at the same time the δήμος πληθύων [=popular assembly] controls the actions of the council, a fact not represented in Deut 20:1-20. 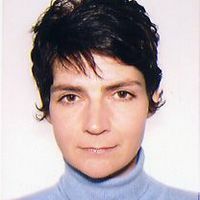 If the law is indeed directed towards the same individuals who are already responsible for the investiture of the judges and the king in the leges de officiis, we are now able to use the so called Hoplite model of the Greek city states to investigate further what implications a fighting male citizenship had on the society. It is important to note that one was first a citizen and then a soldier and not vice versa. 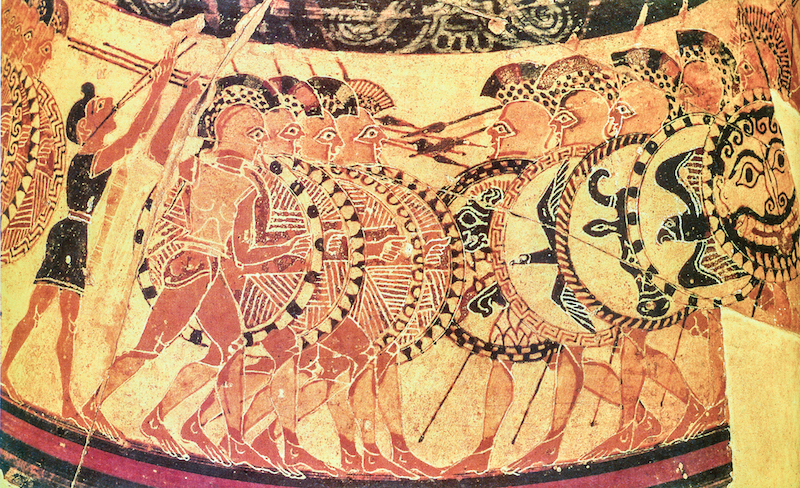 To maximise its numbers of Hoplites, every polis had to be very keen on the maximisation of smallholdings so that more citizens could afford Hoplite armour. If anyone grazes their livestock in a field or vineyard and lets them stray and they graze in someone else’s field, the offender must make restitution from the best of their own field or vineyard. If a fire breaks out and spreads into thornbushes so that it burns shocks of grain or standing grain or the whole field, the one who started the fire must make restitution. 57 If a shepherd does not make an agreement with the owner of the field to graze sheep and goats, and without the permission of the owner of the field grazes sheep and goats on the field, the owner of the field shall harvest his field and the shepherd who grazed sheep and goats on the field without the permission of the owner of the field shall give in addition 6,000 silas of grain per 18 ikus (of field) to the owner of the field. 58 If, after the sheep and goats come up from the common irrigated area when the pennants announcing the termination of pasturing are wound around the main city-gate, the shepherd releases the sheep and goats into a field and allows the sheep and goats to graze in the field—the shepherd shall guard the field in which he allowed them to graze and at the harvest he shall measure and deliver to the owner of the field 18,000 silas of grain per 18 ikus (of field). 105 [If] anyone sets [fire] to a field, and the fire catches a vineyard with fruit on its vines, if a vine, an apple tree, a pear(?) tree or a plum tree burns, he shall pay 6 shekels of silver for each tree. He shall replant [the planting], And he shall look to his house for it. If it is a slave, he shall pay 3 shekels of silver for each tree. 106 If anyone carries embers into his field, catches(??) it while in fruit, and ignites the field, he who sets the fire shall himself take the burnt-over field. He shall give a good field to the owner of the burnt-over field, and he will reap it. [843e] secures for himself another man’s swarm by attracting them with the rattling of pans, he shall pay for the damage. And if a man, in burning his own stuff, fails to have a care for that of his neighbor, he shall be fined in a fine fixed by the officials. So too if a man, when planting trees, fail to leave the due space between them and his neighbor’s plot: this has been adequately stated by many lawgivers, whose laws we should make use of, instead of requiring the Chief Organizer of the State to legislate about all the numerous small details which are within the competence of any chance lawgiver. If you enter your neighbor’s vineyard, you may eat all the grapes you want, but do not put any in your basket. If you enter your neighbor’s grainfield, you may pick kernels with your hands, but you must not put a sickle to their standing grain. When you reap the harvest of your land, do not reap to the very edges of your field or gather the gleanings of your harvest. Leave them for the poor and for the foreigner residing among you. I am the Lord your God. [844d] As concerns the fruit-harvest, the rule of sharing for all shall be this—this goddess has bestowed on us two gifts, one the plaything of Dionysus which goes unstored, the other produced by nature for putting in store. So let this law be enacted concerning the fruit-harvest:. . . . .
[845b] shall, if he wishes, take some of the choice fruit with-out price, as a gift of hospitality; but the law shall forbid our foreigners to share in the so-called “coarse” fruit, and the like; . . . .
A foreigner shall be allowed to share in these fruits in the same way as in the grape crop; and if a man above thirty touch them, eating on the spot and not taking any away, he shall have a share in all such fruits, like the foreigner; . . . .
[843b] voluntarily move the boundary-marks of the land of neighbors: if any man shall move them, whosoever wishes shall report him to the land-holders, and they shall bring him to the law court. And if a man be convicted,—since by such an act the convicted man is secretly and violently merging lands in one,—the court shall estimate what the loser must suffer or pay. Further, many small wrongs are done against neighbors which, owing to their frequent repetition, engender an immense amount of enmity, and make of neighborhood a grievous and bitter thing. 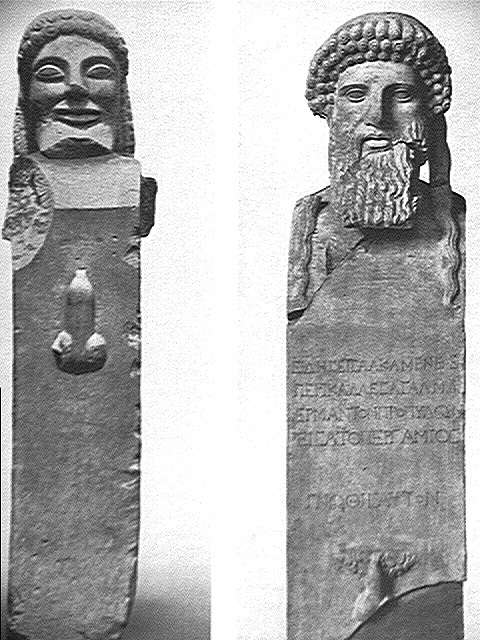 This parallel is reinforced by the common discovery of boundary stones in Attica and the apparent absence of archaeological parallels in ancient Mesopotamia or ancient Israel and Judah. To my knowledge, the earliest Judean boundary stones so far discovered are thirteen boundary stones found at Tel Gezer, written in Hebrew and Greek, dating to no earlier than the Hasmonean Era, suggesting that the use of boundary stones in Judah was a Hellenistic Era development taken over from the Greeks. 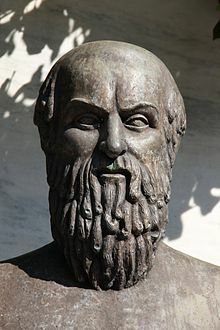 * Athens outlawed debt slavery under Solon, ca 594 BCE. ** Hammurabi’s code appears to have decreed a once-time-only release; the biblical law introduced a regular cycle. * As per Plato’s Laws and some Greek city-states; but not Athens. Social support of the financially distressed is a prominent concern of many Pentateuchal texts. 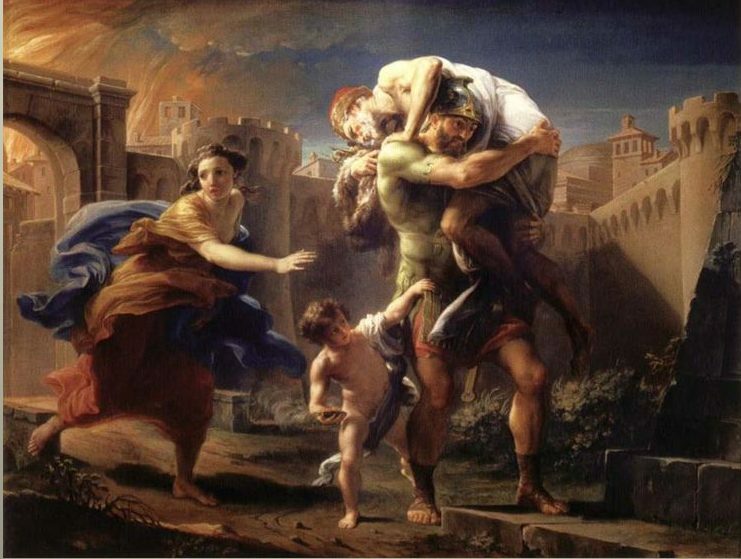 The biblical text frequently called for the protection of strangers, widows and orphans, societal classes without legal protections and vulnerable to abuse by the powerful (Ex. 22.21-24; 23.9; Lev. 19.33-34; Deut. 5.14; 10.18; 14.29; 16.11, 24; 24.15, 17, 19-21; 26.11-13; 27.19; Ps. 82.2-3; Job 24.3; Jer. 7.6; 22.3; Ezek. 22.7, 9; Zech. 7.10; Mai. 3.5). However, the Pentateuch made only moral appeals and called upon Yahweh to avenge wrongdoing (Ex. 22.22-24; Deut. 10.18; 24.15; cf. Mai. 3.5), without making specific provisions for care of strangers, widows and orphans or penalties for their abuse. . . .
Russell Gmirkin goes on to mention laws protecting parents from verbal and physical abuse, but I myself don’t see those commands as specific to vulnerable groups: parents are not restricted to the poor or aged and the command applies to all parents regardless of age or class. One point I question in Gmirkin’s discussion is what seems to be an implication that the Pentateuchal laws were real-life legislation and not theological (theoretical) literature at the time of their composition. No doubt certain laws did become national obligations, but given what scholarship has learned about the theoretical or literary nature of other ancient Near Eastern Laws, including the Code of Hammurabi, I wonder if more consistent awareness of this possibility could have been addressed in the book. I think that if we take the Pentateuch’s list of laws about tithing literally we will find that it appears every three years in a seven year cycle a landowner will be required to tithe on his produce to the Tabernacle/Temple every year, to set aside another tithe to enable him to take his family and whole household to the annual Feast of Tabernacles, and every third year to set aside another tithe for the Levite, stranger, fatherless and widow — that is, thirty percent of his produce every three years is swallowed up before he sells anything. I cannot help but suspect that such Pentateuchal laws, at least as written, are theological ideals and not literal legislation. Nonetheless, in the posts on these various types of laws addressed in Russell Gmirkin’s book so far we have not distinguished between “real” and “theological/theoretical” legislation. The point has been to see what content in the biblical laws finds counterparts in either the ancient Near East and Greek worlds, and from that data to assess the possibility of influence from the Greek world. I have added more illustrative and explanatory notes at the end of the table this time. ^^ this appears to me to be an obvious example of a theoretical or literary law; one presumes the fire would have burnt itself out by the time the trial was held.